Killer Orange tone doesn't have to come from massive rigs. The range PPC108 guitar speaker cabinet clocks in at just over 10" across. Designed to be coupled with the orange MicroTerror guitar amp head, the PPC108 houses a special-design 8" speaker for punchy tone. The same rugged construction used with larger Orange cabinets was used on the PPC108. And the same cool orange Tolex, basketweave grille cloth, crest, and badge identify this cab as distinctly Orange. If you have the Orange MicroTerror head, then you need the Orange PPC108 guitar speaker cabinet. Compact, easy to use and versatile enough for any style of guitar playing, the 20-watt Champion 20 is an ideal choice for your first practice amp. Straightforward controls, cool effects and versatile amp voicings make it easy to dial in just the right sounds for rock, blues, metal, country, jazz and more. Peavey's exclusive TransTube® technology truly creates the sound, warmth and "push back" of a tube amplifier through its patented solid-state design. The basic building blocks of the TransTube® sound are the exclusive designs of the preamp and power amp. The preamp section tailors gain to meet the need for any amount of drive, from crystal clear to thick, smooth sustain. The Backstage emulates the sound, high output, warmth and "push back" of tube amplifiers and includes features such as high and low EQ controls, a 6 inch heavy-duty speaker, switchable TransTube® overdrive, a Aux input for jamming along to your favorite songs and a headphone input for doing so quietly. Once again Peavey Electronics revolutionizes the modeling amp industry. Introducing the world's first Variable Instrument Performance amplifier, the VYPYR® V.I.P. The world's first amp that contains Bass guitar, Acoustic guitar and Electric guitar amplifier models. The basic building blocks of the TransTube sound are the exclusive designs of the preamp and power amp. The preamp section tailors gain to meet the need for any amount of drive, from crystal clear to thick, smooth sustain. Easy to use and versatile enough for any style of guitar playing, the 40-watt, 1x12” Champion 40 is an ideal choice as your first practice amp and an affordable stage amp. Straightforward controls, cool effects and versatile amp voicings make it easy to dial in just the right sounds for rock, blues, metal, country, jazz and more. Powerful and portable, the 6505 Piranha harnesses the unmistakable character of the iconic 6505 Series in a convenient, miniscule package capable of a mighty 20 Watts (4 Ohms). No frills - just the raw gain and authority of the familiar Crunch and Lead channels with simple Pre-Gain and Post-Gain controls. A single knob EQ morphs the tone from the most notchy thrash to throaty and boosted metal tones. 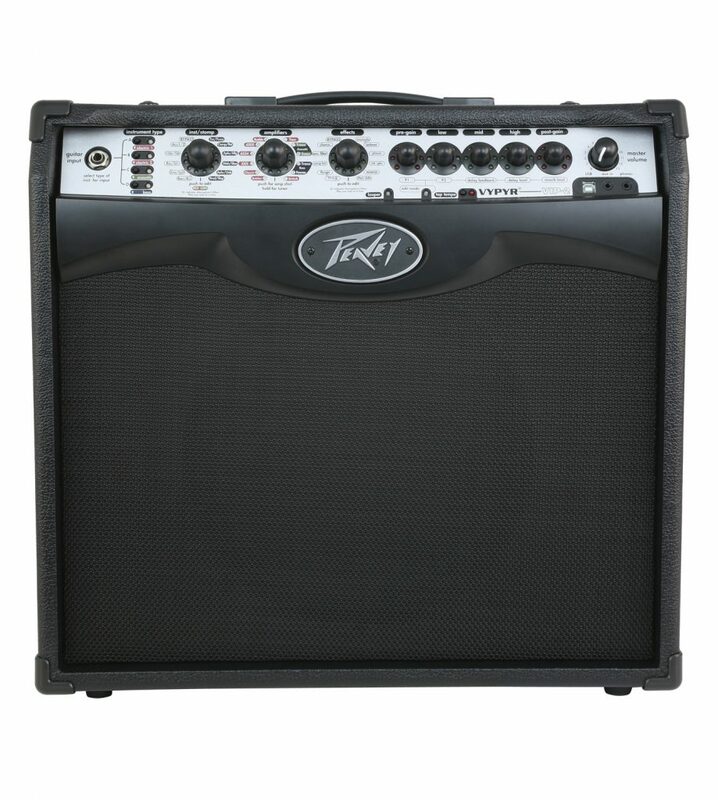 The Peavey ValveKing® Series is a new, all-tube guitar amp line combining boutique features and hot-rodded tones with legendary Peavey reliability. The basic building blocks of the TransTube® sound are the exclusive designs of the preamp and power amp. The preamp section tailors gain to meet the need for any amount of drive, from crystal clear to thick, smooth sustain. The answer to a gigging guitarist’s prayers, the Bassbreaker BB 112 cabinet is economical, easy to transport, tough enough to survive the road and, most importantly, killer-sounding.